One. Two. Three. Four—What the hell are we remembering for? This Remembrance Day, I will show my respect for Canada’s war dead in a different way—I will not wear a poppy. The poppy, John McRae’s In Flanders Fields and the commemoration of the two world wars are part of a ritual that has become a perverse anachronism. Simply put, the world that these wars engendered no longer exists, in spirit or in fact. Remembrance Day, for the most part, commemorates victories in “good wars”—wars where we could clearly claim to be fighting on the side of right and justice. The men and women who died in these wars gave their lives so that we today could live free from tyranny. But do we seriously believe that our soldiers, airmen and sailors fought against Nazi Germany, Fascist Italy and Imperial Japan only to bequeath to us a world terrorized by Israel, the U.S. and Great Britain? What right do we have to indulge the conceit of our own virtue when we have become the enemy and are doing to Arabs and the Middle East what Hitler did to Jewish Europeans and Europe? “The German people and its soldiers work and fight today not only for themselves and their own age, but also for many generations to come. A historical task of unique dimensions has been entrusted to us by the Creator which we are now obliged to carry out…. I have not sought war. To the contrary, I have done everything to avoid conflict. But I would forget my duty and my conscience if I were to do nothing in spite of the realization that a conflict had become unavoidable. Because I regarded Soviet Russia as a danger not only for the German Reich but for all of Europe, I decided, if possible, to give the order myself to attack a few days before the outbreak of this conflict. Hitler and Bush are both messianic sociopaths who lied about an immanent threat to justify unleashing total war in the name of God. Canada went to war to defeat one of them, yet we are supposed to remember the other as the great saviour of the free world. The false dichotomy between “evil” Nazis and “good” Allies allows for the abuse of Nazi imagery to justify Nazi-like aggression. Those who belong to the Israeli–U.S.– British axis use Hitler analogies to demonize Arab resistance fighters and Arab states, but this slander debases Remembrance Day and everything our veterans fought and died for. Hitler led a great militaristic state driven by chauvinism, bigotry and expansionist zeal. No Arab state bears any resemblance to Nazi Germany. Israel and the U.S., though, are great militaristic states driven by chauvinism, bigotry and expansionist zeal. The cruel truth is that World War II didn’t end in 1945. The contrived “peace” of the Cold War was merely a long hibernation that ended when the Soviet Union collapsed. Hitler’s master race fascism didn’t die either; it found new ground in Israel. Let us remember what fascism is and to speak out for its victims. 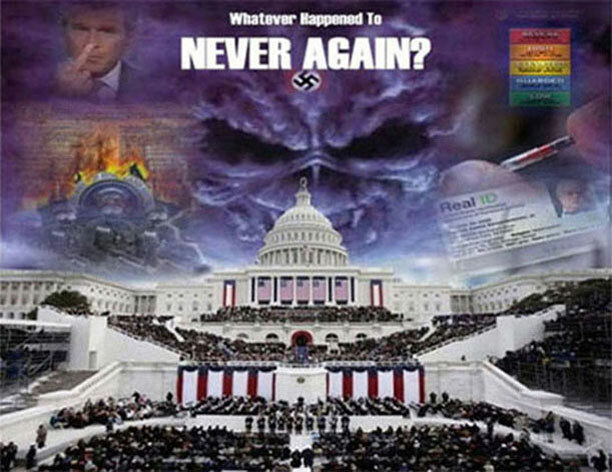 Let us remember that “never again” does not just apply to Jews. Let us remember that the past has no value if its lessons are ignored. Let us remember that the ally of yesterday can become the tyrant of today. Let us remember that if we do nothing when great crime is being committed we are complicit.